Dutch artist Thirza Schaap has just arrived back from a road trip collecting plastic waste from the Atlantic coastline. You may be wondering what Thirza is doing with all this plastic waste? 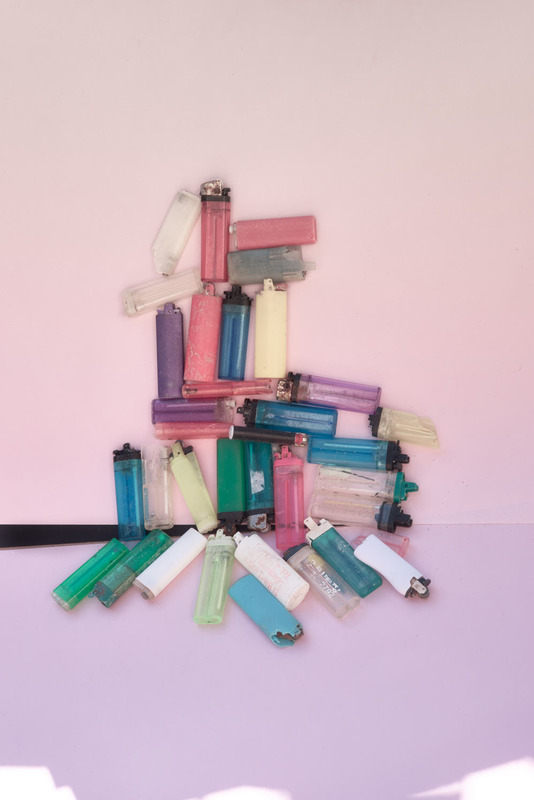 In the following article you'll see faded ocean plastics and still life art compositions that not only tell a story but inspire a movement, a plastic revolution. In the name of art activism and in her own words Thirza Schaap takes us on her personal journey of awareness. I grew up in the center of Holland where the new land was made, ‘The Polder’, a man-made island in the middle of the sea Zuiderzee. It was flat land, new land where trees were planted in neat lines which should grow into a forest in the future. We played at the border of the former sea which is a lake now amid stretched out cane fields and new houses but there was the water I remember, I always felt I could only really breathe at the shore. [When I was a young girl] our family went on holidays to the south of France, camping, and I was constantly in the water, (not that I was such a good swimmer). Looking with my mask under the water I imagined talking to the fishies. Living near the Atlantic ocean in Cape Town now is something else, the ocean is rough and cold with incredibly strong currents. I walk my doggie daily and organically pick up plastic I find on the beaches which makes me think...I have to do something, I have to show the world what I see. Every day the ocean spits out our waste on the beaches and looking at the state the plastic trash is, you can tell it was quite a journey to get there. I like to work with ‘catch of the days’. Coming back home after collecting ocean plastic I wash and dry my finds and when I feel the right mood I start making 'one minute statues' and photographing them. I organize the plastics after photographing, some I keep together as they were in the still life, and some I organize in boxes, according to shape and size. But through my art work you can have a reminder of it in your home and be reminded about plastic every day in a gentle way. Next time single use plastic comes at your path, you will recognise it before it is to late. You can choose to refuse the take away, the straw, the plastic bag. You don’t want balloons for your kids birthday, you don’t want to buy vegetables in plastic packages anymore. Step by step, I learn every day. You know when you have an interest in something, you cannot look around without seeing it, and reading about it. I am dealing with plastic all day in my personal journey of awareness and through the choices I can make to change and I am also talking to organisations like the Lonely Whale. Sharing information and how we all personally deal with plastic consumption is more important than the facts. I think its time for ACTION! I believe Thirza Schaap's art work is a great example of the power of art as activism. Through exciting colours, shapes and textures Thirza attracts attention to her cause and then makes a strong connection between the viewer and the piece through storytelling. We become motivated, curious and empowered to take action which creates a great sense of achievement. 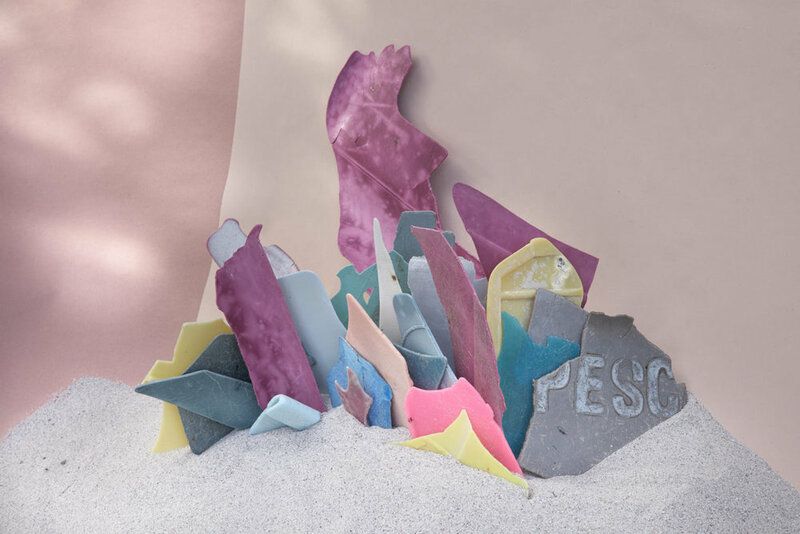 Sign up to the Tactile Trends newsletter here to receive updates on ocean plastic month and to be notified when the trend report goes live. 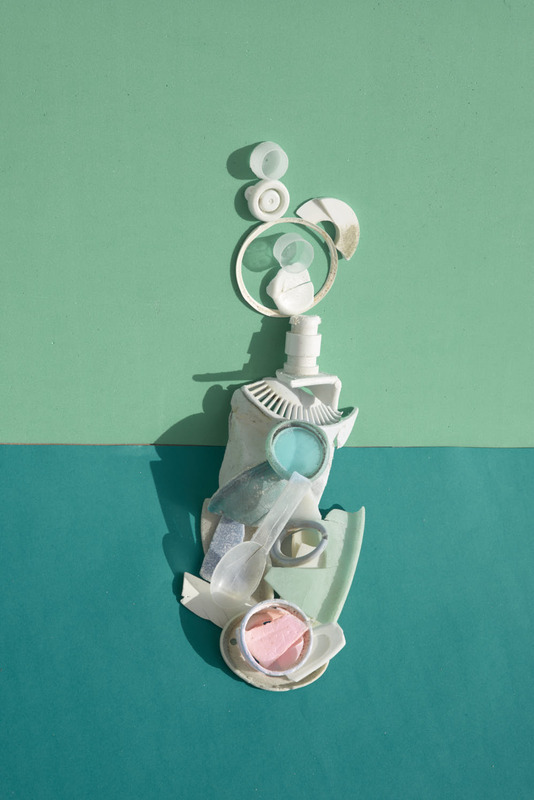 Feb 23 Tides of Change - A Visual Essay - Exploring Ocean Plastic Issues Through Colour and Mood. Feb 4 Ocean Plastics - How are the Creative Industries Responding to Plastic Pollution?